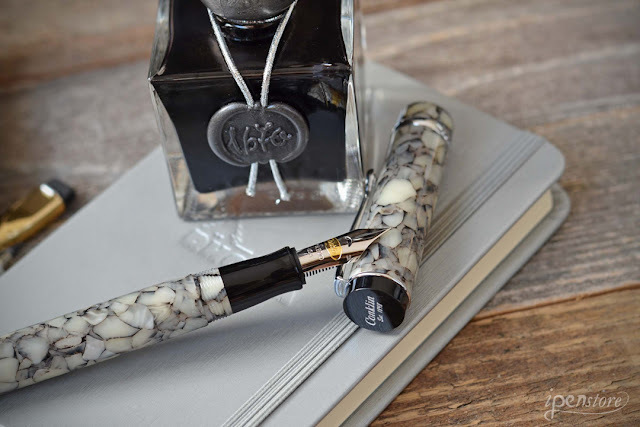 The April iPenbox- our curated monthly subscription box- theme was "Stormy Seas." 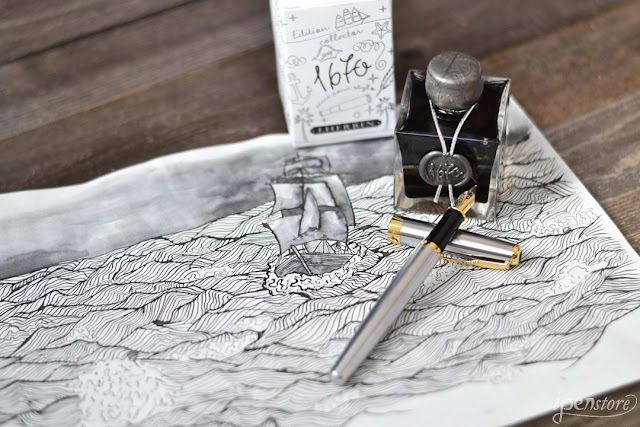 Our artist, Claire, used Stormy Grey fountain pen ink by J. Herbin to create this drawing. We chose the items in our box to reflect stormy colors and watery products, such as the Stormy Grey ink, and the new Pelikan Edelstein Aquamarine fountain pen ink. For a complete list of items we included in the box, click on the link. 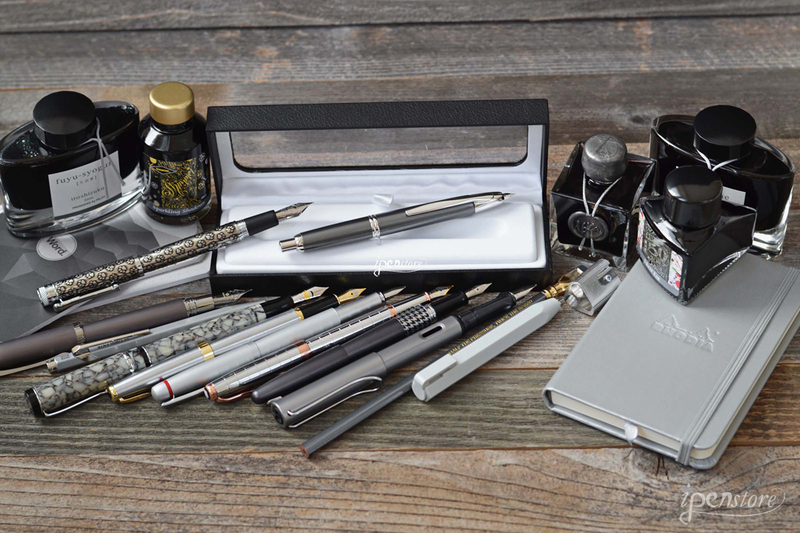 Have you seen the new Rhodia #118067 Web Notebook? 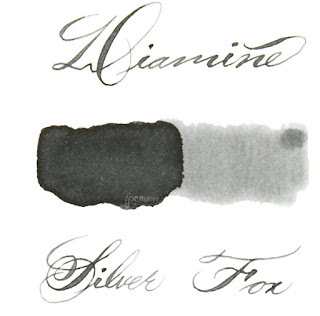 The paper (Clairefontaine) is a luxurious high vellum 96 gsm in ivory. It's hard cover, features a silver ribbon bookmark, and an elastic band for keeping it securely closed. There is an expandable inner pocket located at the back to keep all of your loose papers secure. We have this notebook available in lined, blank or dot grid paper. 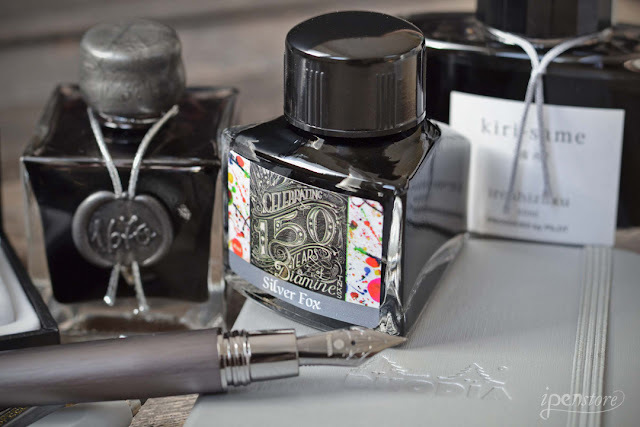 Silver Fox Fountain Pen Ink gets great reviews from users. This silver is a very true and neutral gray. The Pilot Vanishing Point Fountain Pen was the first retractable fountain pen on the market. 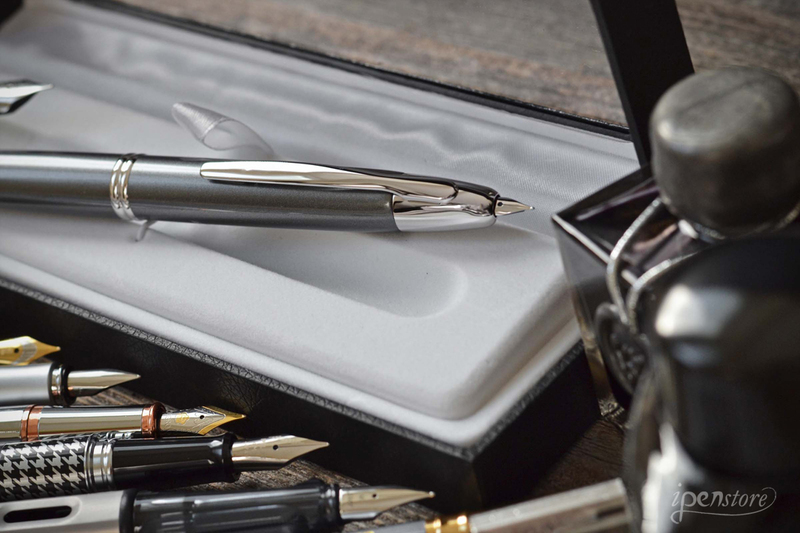 Assembled by hand, the internal mechanism contains features such as a special trap door to prevent the nib from drying out when retracted.